Lower Level Door To An 1803 Amish Corn Barn - 1803cornbarnblwh172868 by Frank J Benz - 10.000" x 6.625"
Lower Level Door To An 1803 Amish Corn Barn - 1803cornbarnblwh172868 framed print by Frank J Benz. Bring your print to life with hundreds of different frame and mat combinations. Our framed prints are assembled, packaged, and shipped by our expert framing staff and delivered "ready to hang" with pre-attached hanging wire, mounting hooks, and nails. 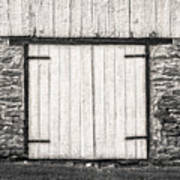 There are no comments for Lower Level Door To An 1803 Amish Corn Barn - 1803cornbarnblwh172868. Click here to post the first comment. 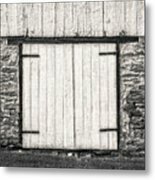 Lower Level Door To An 1803 Amish Corn Barn. 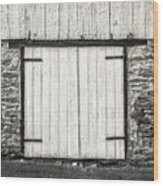 This is the lower level side entrance to an 1803 Amish corn barn storage area that is built lengthwise into the side of a small hill. The floor above the door is at ground level on the other side of the building and the ground tapers down quickly to the right on the side this door is located on. This Amish corn barn is located in Lancaster, PA. Thank you for taking the time to look at our collection of images! We have several collections available for your consideration. If you have any questions about an image, or perhaps making a change to an image, please use the CONTACT button on my Collections Home Page to email me. Most Automotive Images Can Have Some Changes Made To Them - Contact Me With What You May Want To Change - If I Agree To Change An Automotive Image There Will Be NO Extra Charge.